It probably took me three days to come up with the final design and then I had it tested by some kind folks in the Ravelry.com community. During this time I posted some pictures of my first creation on Facebook. What a hoot! My friends and family loved it! An old family friend requested four for Christmas gifts. 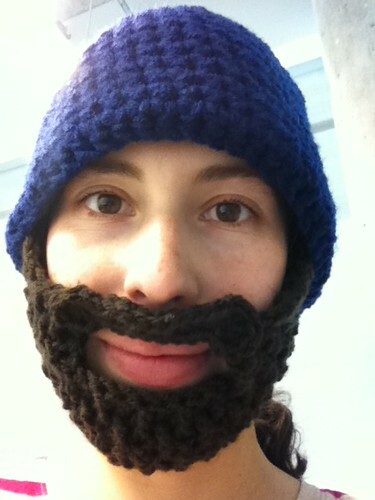 Of course I took her up on the deal and made two knit hats and two crochet hats with attached beards. Thankfully she liked the finished product! Woo hoo! It turns out her sister-in-law also liked said hats and requested two today. I consider this my first real sale as it is the first product I have crafted to be purchased by a person I do not know. Yay for 2011 and the opportunities it holds! Click here to purchase through PayPal for $2.99!